So far, 2015 has been a hectic year. For me there’s been a lot going on and a lot of stress from various different sources. The end of the year heralds more of the same, but for now I find myself in a little bubble of calm. The issues that have been causing bother have, for the most part, been resolved as best they can be. On top of that, I’ve just come back from a lovely little holiday to the seaside town of Whitby. It’s amazing the benefit of stepping back from everything can have. A proper chance to clear one’s head, be removed from the stresses of everyday life. I have come back feeling rejuvenated mentally and ready to make the most of this period of calm. Now, I said a while ago that a serial would be getting posted to the blog and you’ve probably guessed from this long period of silence that that has changed. With slightly growing confidence in the piece in question, I’ve decided to try submitting it to a few places to see if anything comes of it. The idea of my work reaching a larger audience – as well as the prospect of getting some writing credentials – is both exciting and scary. Apparently when there isn’t enough stress in my life I have to create some! Still, it’s a positive step in my ultimate goal of becoming a published novelist. So, my rejuvenated brain power at present is going towards polishing up two short stories for submission – watch this space! And, of course, the ongoing work on Through the Black continues. I received such a volume of fantastic constructive feedback that I’m still in the process of plugging in comments and my current fixes for those issues. It’s a long and ever evolving process that I hope to talk about in an upcoming post. Now that things have settled a little I hope to get inspiration for a few more posts before life overwhelms me again. I won’t make any promises on specific topics as I’m apparently terrible at following them through. I will however try and work up to being semi-regular again. For now though, here is a picture of a lost pirate ship. 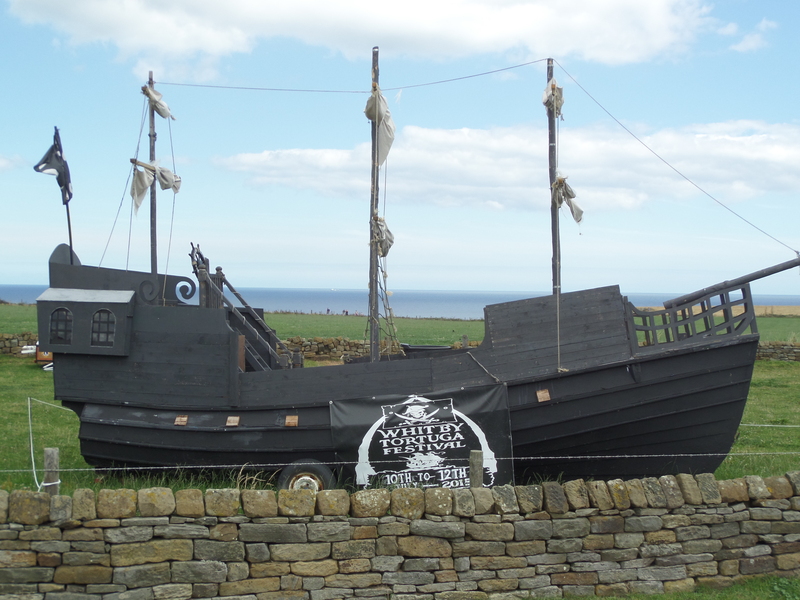 This entry was posted in Me Things and tagged editing, Fiction, pirate ship, Whitby. Bookmark the permalink.